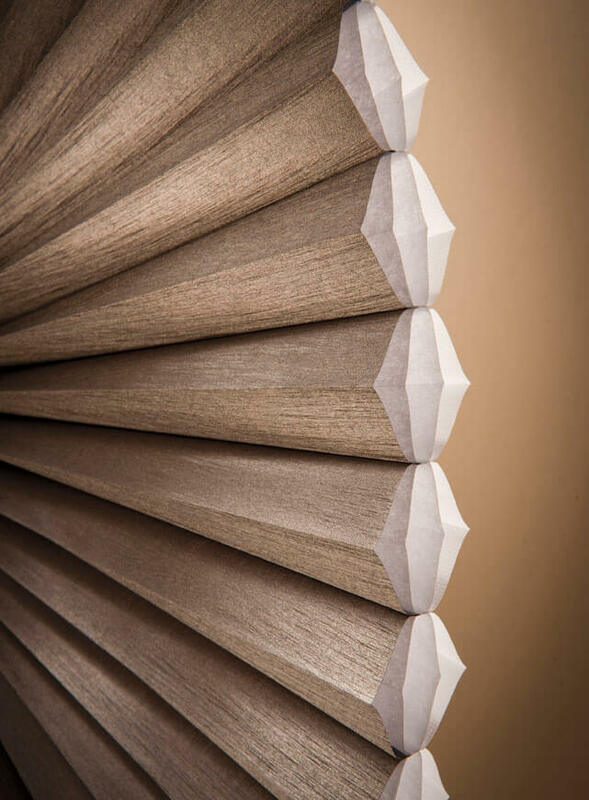 As the most energy efficient window covering on the Australian market, Luxaflex Duette Shades feature a unique honeycomb cell which traps air and acts as insulation for your window. For even greater energy efficiency, save up to 43% on your heating costs with exclusive Luxaflex Duette Architella Shades. Featuring a honeycomb within a honeycomb structure for superior efficiency, which reduces heat loss in winter and keeps your home cooler in summer.